The prospect of a New Year always stirs excitement and hope. We don’t want a __ 01 __ year and certainly we don’t want anymore challenges. 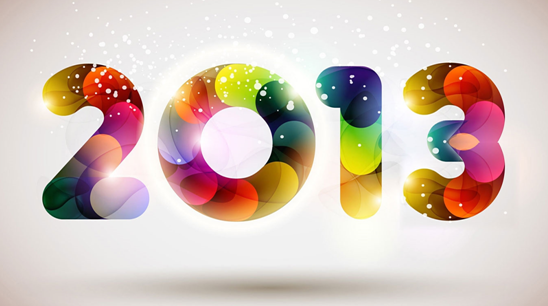 Will 2013 turn out to be better? Let’s take a look at the 2013 horoscope for what is ahead! 2013 is predicted to be a __ 02 __ year for Aries. Some major obstacles in your path to success will be wiped out but be prepared to __ 03 __ yourself to cope with the pressure and new challenges ahead. Avoid taking any impulsive decisions or making sudden changes to you plans. 2013 may not be very favorable for your health __ 04 __ you exercise caution, maintain a healthy diet and exercise regime, and get adequate rest to overcome fatigue. 2013 will be filled with challenges for Taurus, but you should make the best use of your creativity when tough situations arise. You will become __ 05 __ in finances and household issues. Funds will be short in the beginning of the year. Don’t let your indulgence burn a big hole in your purse. Be sure to plan out a foolproof monetary arrangement. When it comes to relationships, think twice before communicating with your family; __ 06 __ , anxiety and tension will trouble you throughout the year. 2013 will start off on a defensive note for Gemini. Negative thoughts and doubts may rule you mind, so avoid any events or people that pull your self-esteem down. You probably won’t experience fortunate breaks at the snap of a finger, but you can put in sufficient effort to make things happen for yourself. Your motto for the year should be “ Go for it!” __ 07 __ a little hard work plus the planet’s blessings, nothing is impossible. The year spells mixed fortunes for Cancer. Most changes in store for you will be powerful enough to drag you out of your comfort zone. In the past, you might have recoiled in your shell whenever faced with unfavorable situations, but not anymore in 2013. A change in career line will be on the __ 08 __ and is most likely to occur by mid 2013. Do not repent later of missing out on opportunities __ 09 __ take them as they come. As for love and relationships, long unsolved family issues will eventually find pleasant answers. An old flame is going to re-enter your life. You must decide __ 10 __ you should continue your current relationship or end it. ■ Bad Cancer: moody, clingy, self-absorbed, manipulative, always procrastinating. The prospect of a New Year always stirs excitement and hope. We don’t want a lackluster year and certainly we don’t want anymore challenges. Will 2013 turn out to be better? Let’s take a look at the 2013 horoscope for what is ahead! 2013 is predicted to be a rewarding year for Aries. Some major obstacles in your path to success will be wiped out but be prepared to stretch yourself to cope with the pressure and new challenges ahead. Avoid taking any impulsive decisions or making sudden changes to you plans. 2013 may not be very much favorable for your health unless you exercise caution, maintain a healthy diet and exercise regime, and get adequate rest to overcome fatigue. 2013 will be filled with challenges for Taurus, but you should make the best use of your creativity when tough situations arise. You will become occupied in finances and household issues. Funds will be short in the beginning of the year. Don’t let your indulgence burn a big hole in your purse. Be sure to plan out a foolproof monetary arrangement. When it comes to relationships, think twice before communicating with your family; otherwise, anxiety and tension will trouble you throughout the year. 2013 will start off on a defensive note for Gemini. Negative thoughts and doubts may rule you mind, so avoid any events or people that pull your self-esteem down. You probably won’t experience fortunate breaks at the snap of a finger, but you can put in sufficient effort to make things happen for yourself. Your motto for the year should be “ Go for it!” With a little hard work plus the planet’s blessings, nothing is impossible. The year spells mixed fortunes for Cancer. Most changes in store for you will be powerful enough to drag you out of your comfort zone. In the past, you might have recoiled in your shell whenever faced with unfavorable situations, but not anymore in 2013. A change in career line will be on the cards and is most likely to occur by mid 2013. Do not repent later of missing out on opportunities but take them as they come. As for love and relationships, long unsolved family issues will eventually find pleasant answers. An old flame is going to re-enter your life. You must decide if you should continue your current relationship or end it. Q： According to the article, who may experience emotional fluctuations and moody spells in 2013?